Automotive water based painting systems used nowadays, have been the reason behind the special design of this automotive masking tape. 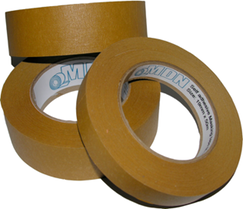 This tape has an excellent performance during the painting process, allowing temperature resistance of 85°C (185°F) during a one hour cycle and removing easily without residues. It has also good resistance to most conventional organic solvents used in painting operations.